Floor cleaning sounds like the easiest thing on the planet. Most households decide that using their own little vacuum cleaner once a week would do the trick. This is mostly true when you want to get rid of just dust. But over time filth piles up inside between the planks or the tiles depending on the nature of your floor. So taking a stab in the dark by buying expensive detergents and trying to get rid of this yourself might easily backfire and will most likely lead you to spending even more than you anticipated. Look for professional floor cleaning service in Liverpool (meaning us) and consider the money you will spend not as an unnecessary expense but as an investment. Indeed, hiring us means you care deeply about how you floor looks like. Our intervention will give you safe and effective long lasting clean floor for months to come. Routine cleaning isn’t enough and at some point you will notice those dirty dark spots or filth stains. If this time has come then give us a call and let us show you outstanding results. How convenient and cost-effective are we? Our workers will be right on time so we don’t get in the way of your busy day. In case you are at work we can always re-arrange and think of something during the weekend. Our company is happy to bring you all the flexibility needed. By now you are probably convinced that we have everything you need to make your floor shine and also make your day. But that’s not all. Our amazing service doesn’t come at a high price. We will give you the best value for your money and if you keep coming back to us the discounts will only get better and better. Call us to today and speak to a representative about floor cleaning or hard floor cleaning in Liverpool offers or our rates, promotions and deals. Get your free quote and come back to us whenever you’re ready. There is no obligation – we make everything convenient and easy. 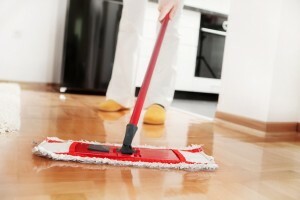 Discover the secrets of floor cleaning with us.